Systems Connections of Maryland Inc. If installer holds proper DOT card he/she may also drive a company vehicle to and from job sites. 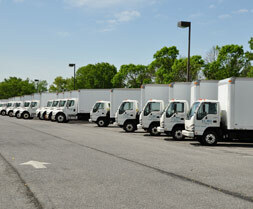 These trucks may include passenger vans, 16’ or 26’ straight trucks. Unloads furniture from truck/trailer, stacks onto pallets. Shrink or blanket wrap furniture. If employee holds proper Fork Lift certification he/she may operate. Repetitive use of hands is required. Employee will be standing all day.